After placing the CDs, place the bangles between two CDs on both sides. 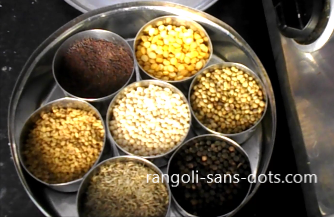 Then fill up the centre of the CD and the areas between the bangles and CDs as shown. 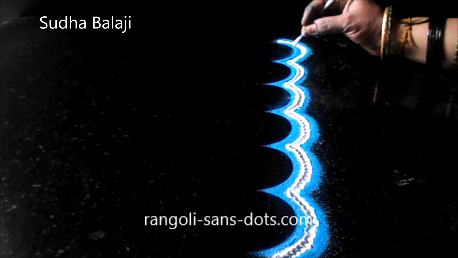 Then gently remove the CDS first and then the bangles to avoid smudging of the rangoli powder and it should be done delicately. The rest is left to our imagination. 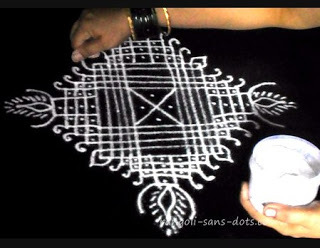 Using cotton buds I have made some swastik patterns because it is part of Diwali festival decoration. 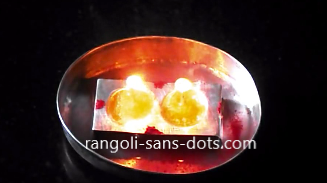 Place diyas on both sides are draw it as a base of another rangoli or draw it in the Puja room for Laxmi Puja. 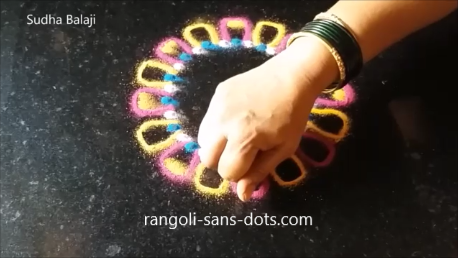 Even those who find it difficult to use finger technique ( traditional ) to make a rangoli can easily use this method and create awesome designs. 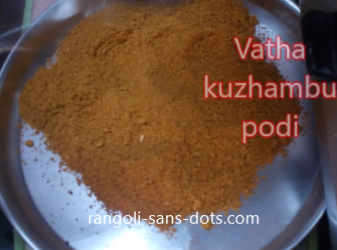 What I have given is a sample to give us ideas. 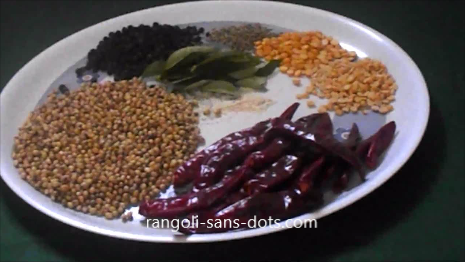 It is left to our creativity to develop further. 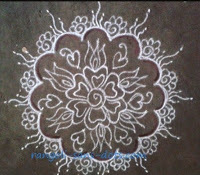 The next is a classical diya rangoli design or to be more specific a diya rangoli border for festival. Place the paper cups. 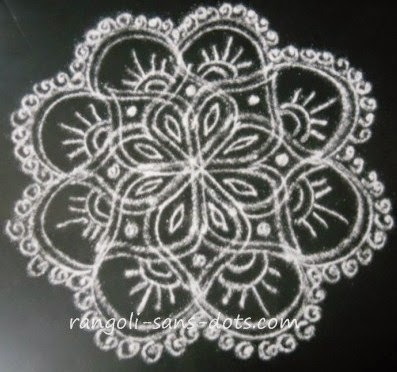 Due to many requests on Facebook, YouTube and blog from ladies who wanted to make rangoli for the festival but were yet to learn this beautiful and simple art form of India for some easy methods to create rangoli. 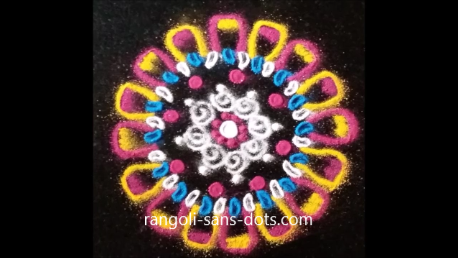 Based of their requests I created some innovative methods of making rangoli and the result is there in the form of videos or blog posts. 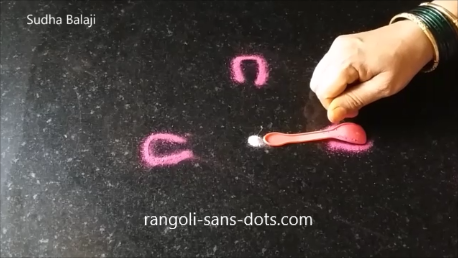 After placing the paper cups, draw lines below the cups to get curved shapes of the lamp base. I have used three lines , two blue and one white at the centre . The central white line has been further decorated with a cotton bud. This after removing the paper cups. 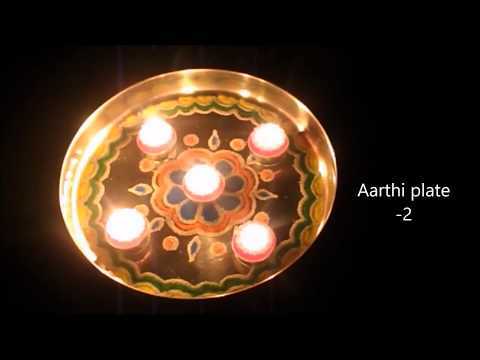 The edges of the curved lines are made into diyas as shown in the images above. 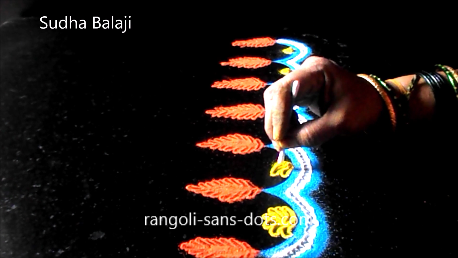 The remaining decoration is left to our choice with rangoli colours, cotton buds and dots or bullets. 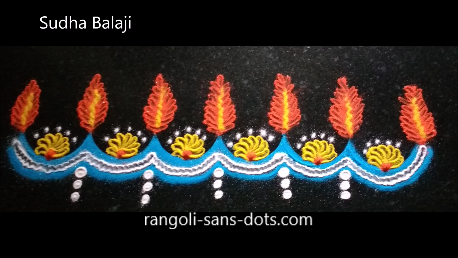 We can place actual diyas after lighting them above the rangoli border to enhance the beauty and to get a wonderful ambiance. 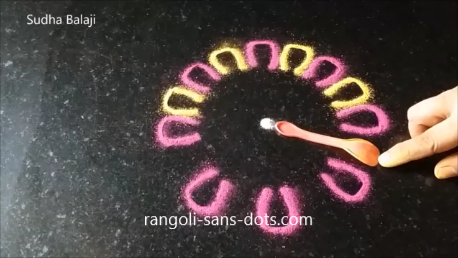 We can use the simple ice cream spoon to create a beautiful flower rangoli design. 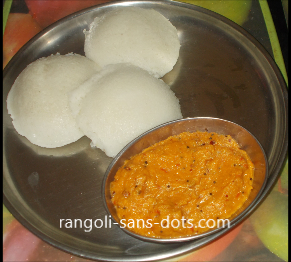 Kids may love this easy idea for a simple n quick rongoli.